We do our best to ensure we operate a quiet campground. Quiet time is all the time! We strive to make your stay as enjoyable as possible. If you have any questions, please email chris@dutchlake.com. RV/Camping Reservation and Cancellation Policy: 7 day cancellation policy for RV/camping; a valid credit card number with the expiry date is required to hold a reservation. Nothing is charged to your credit card at the time of booking. If you cancel your reservation more than 7 days prior to arrival, there will be no charges. If you cancel your reservation less than 7 days prior to arrival, you will be responsible for payment of all days booked. 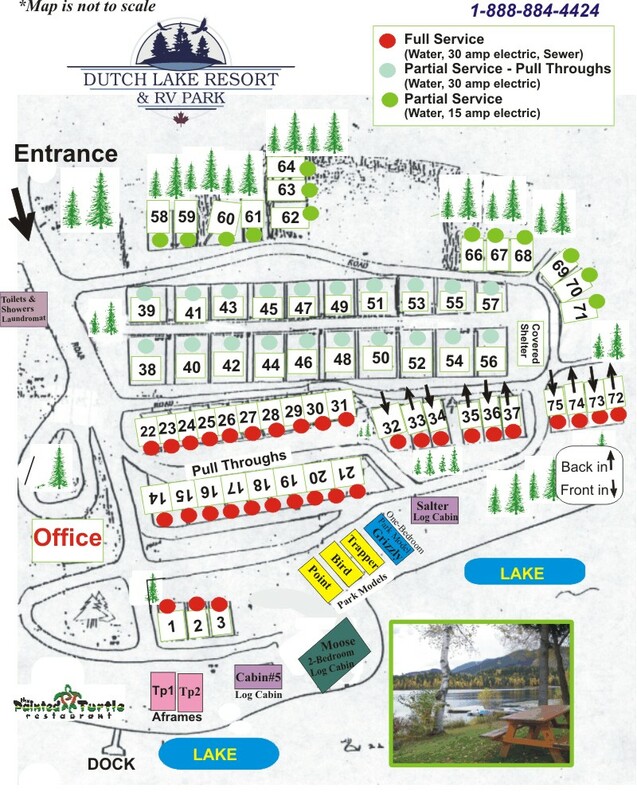 RV/Camping at Dutch Lake Resort - Reserve your site today! 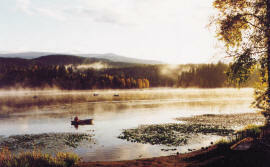 The campground at Dutch Lake Resort will offer you an unforgettable holiday experience. The campground opens in April and closes the end of October - depending on the weather. *Partial service, 15 amp or 30 amp power and water - these sites are in the centre and back of the campground (30amp/water #38 - 57; 15amp/water #58 - 71). These sites are suitable for any type of unit. Full & Partial Serviced site rates are based on up to 4 people per site in one unit; an extra fee will apply for each additional person over 15 years in the same unit. Tents are welcome to book a 15amp partial service site - max 4 people per site. We will occassionally allow one small tent to be set up on an occupied serviced site if there is room - the fee is $10/person +tax. Nothing is charged to your credit card at the time of booking. You can pay with credit card, debit card or cash when you check-in. Trailer/5th wheel sites are back-in or pull through sites. Motorhome sites are drive in sites suitable for motorhomes or campers. Tents - please book the 15amp partial service sites. If you would like to book a specific site # you must book a minimum of 3 nights. If you are booking 3 or more nights, then you can request a site # in the comments section of the online booking page - we will email you to confirm your request. We ask you to arrive prior to 9pm to limit the noise for guests already checked-in.